List of Good VPNs and Proxies for You. | Kanishk's Technical Blog. 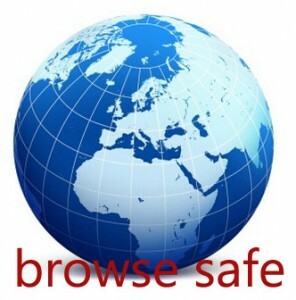 List of Good VPNs and Proxies for You. NOTE:This Post is only for Educational purposes.It is not intended for Hackers to make use of them or to help them by suggesting these ways.I in no way encourage Hackers or Hacking. Today,I'll tell you about Using Proxies and VPNs to surf on the Internet safely.If you people are for the first time hearing about this,I'll tell you What is a VPN/Proxy?What are their uses? And How do they work? A Virtual Private Network (VPN) is a technology for using the Internet or another intermediate network to connect computers to isolated remote computer networks that would otherwise be inaccessible. A VPN provides security so that traffic sent through the VPN connection stays isolated from other computers on the intermediate network. VPNs can connect individual users to a remote network or connect multiple networks together. Now,There are certain uses for VPNs and Proxies.Like,Hackers use it,Normal People Use it. Hackers use it for protection against getting their locations tracked.IP (Internet Protocol) Address can be used to track locations using highly advanced GPS (Global Positioning System) and they can get caught easily.But,if they use VPNs and Proxies,it hides their locations and therefore no one can track them. Normal Computer Users use it for accessing blocked sites like PirateBay.Se and other sites which are oftentimes blocked by Local ISPs (Internet Service Providers) which happened recently in my Country (India).These Proxies help them because the Proxies and VPNs hide the Real IP Address of the Users and make it appear to the Web Sites as if they are of Other Country like USA/Europe or any other.Therefore,they are allowed access to the blocked sites easily.An average computer user also uses a VPN or Proxy Server to help him in not getting tracked physically by websites which intend to track their location without their permit. Working of a Proxy can be explained with the help of following diagram. Communication between two computers (shown in grey) connected through a third computer (shown in red) acting as a proxy. Now,I think you all must have been knowing what a VPN and a Proxy is.So,Here is the List of them along with their download links. These are just some of them I listed above.There are actually many.But I listed the top ones. I hope you find this post helpful and you enjoy it. I like using vpn service from "Hotspot Shield" for my android mobile device. I guess "Hotspot Shield" VPN is one of the most trust worthy vpn service provider. Also i read about this VPN, that it help us save money on your phone bill to some extend if operating on mobile device by data compression and increase the web browsing speed. Is it possible? The proxy is very important to use because the proxy can open the unblock yotube and also open the you tube where they are off in different country. people of the Pakistan can use the different proxy to open the blocked you tube in Pakistan. I look the site it was a very good and very informative in many aspects thanks for share such a nice work. Check more details here : regulation.